A frank, smart and endearing literary memoir of growing up as the daughter of Apple founder Steve Jobs in the rapidly changing Silicon Valley of the tech boom. Born on a farm and named in a field by her parents - artist Chrisann Brennan and Steve Jobs - Lisa Brennan-Jobs' childhood was marked by two distinct parental figures and a Bay Area on the cusp of the modern tech era. When she was young, Lisa's father was a mythical figure rarely in her life. As she grew older, her father took an interest in her, ushering her into a new world of mansions, holidays and private schools. His attention was like nothing else, but he could also be cold and inattentive, an outsized critic, unpredictable and cruel. As Lisa and her mother's fights became extreme during her adolescence, she decided to move in with her father in the hopes that he would become the parent she wanted him to be. Small Fry is Lisa Brennan-Jobs' poignant story of family, of growing up, and of a childhood spent between two imperfect but extraordinary homes. Scrappy, smart and funny, young Lisa is an unforgettable guide through her parents' fascinating worlds. 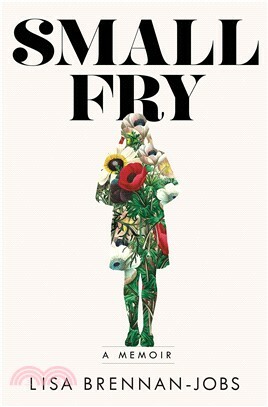 As much a portrait of a child's complex relationship with the adults in her midst - her warm, passionate mother, and her brilliant, distant father - as it is a love letter to California, Small Fry is an enthralling book by an insightful new literary voice.